The paper presents a diachronic analysis of the apportionment of seats in the European Parliament from its foundation to the present and the upcoming European elections. Its goal is to quantify the degressive proportionality principle to answer whether there has been a degressive representation in the European Parliament. The analysis employs statistical tools commonly used for measuring electoral disproportionality; at the individual level, both the value of a vote (the average number of votes per mandate) and the advantage ratio (the rate of over-/under-representation of each Member State) are measured, while at the aggregate level, the level of malapportionment is measured (with the help of the adaptation of the Distortion Index). The paper concludes that there has been no degression in representation in the European Parliament since 2004, while a degression in representation had been achieved before the 2004 elections. However, the re-apportionment of seats for the upcoming elections due to Brexit brought the apportionment of seats closer to the degressive proportionality principle although there is an exception to the rule which is mainly caused by the fact that there has been an informal agreement that no Member State will have fewer representatives in the European Parliament than it had in the 2014 European elections. works as Assistant Professor at the Department of Political Science and Humanities of Metropolitan University Prague, and the Department of Political Sciences and Philosophy of the Faculty of Arts of Jan Evangelista Purkyně University in Ústí nad Labem. 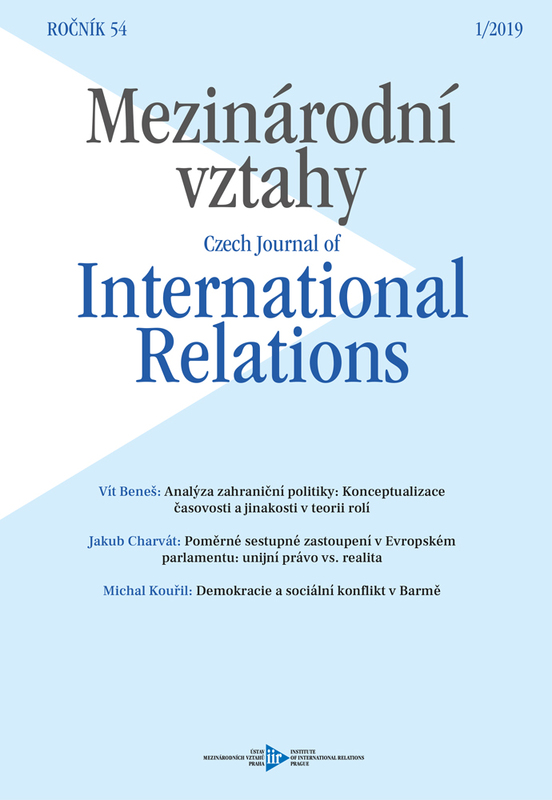 In his research, he focuses on electoral analysis, politics of electoral reform, political communication and contemporary history and politics of the Czech Republic and Central European countries.